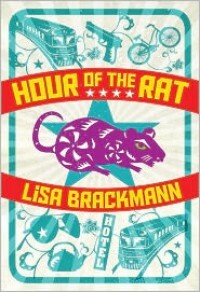 Hour of the Rat - Lisa Brackmann - review - So Many Books...So Little Time! 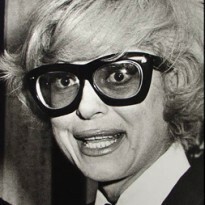 I am so glad Lisa Brackmann wrote another story about Ellie McEnroe. The first one, "Rock, Paper, Tiger" was very dark and left me worried about Ellie. So Lisa has done me the favor of catching me up with Ellie again, and she is okay! Well, sort of. Ellie's mom is in Beijing, staying with her for a seemingly never-ending visit. And Mom has taken up with one of Ellie's neighbors, Andy, which Ellie finds a bit... awkward. Then there is the extremely persistent assistant, Vicky Huang, who won't stop pestering Ellie about the opportunity to buy a piece of art by Lao Zhao, Ellie's former lover and now refugee, running from the Chinese secret police. It all gets rather complicated (like it wasn't already?) when Ellie's friend, Dog Turner, asks for her help finding his younger brother, who was last known to be somewhere in China. Ellie feels obligated to help (there is more to this story), so she talks her mom into going on a little vacation, which just happens to be the last know location of Dog's brother, Jason. Poor Ellie has no idea what can of worms she has opened, and then the secret police "invite her for tea" which is a polite way of telling her she is informally being questioned, and it really is time for Ellie to get out of town for a while. So much going on in this story! But I loved it, and I stayed up late just to finish. Really good, thanks, Lisa B!